This new guide shows you how to live inside the MakeCode matrix! We’re often asked, “How does John Park appear among the code blocks during the MakeCode Minute?” This is how! 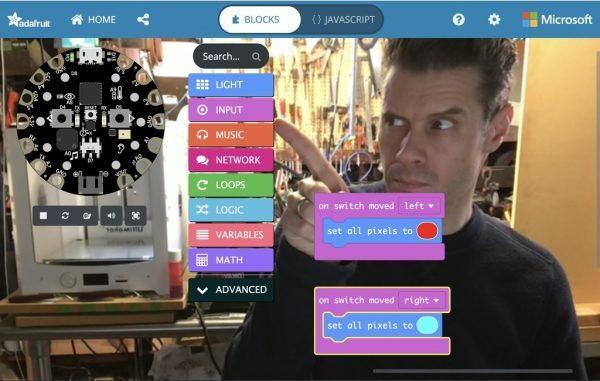 Great for making tutorials and livestreaming, this feature of Adafruit MakeCode and MakeCode Arcade let’s you stream a USB video camera as the Chrome browser background. You can also set MakeCode to a greenscreen background for use in your livestreaming or capture software if it supports layers and chromakeying.